Out the future cash flows of the project. financial asset of comparable risk. Which action would the investors prefer? should be the expected return on a financial asset of comparable risk. required returns are. So, what do we do? 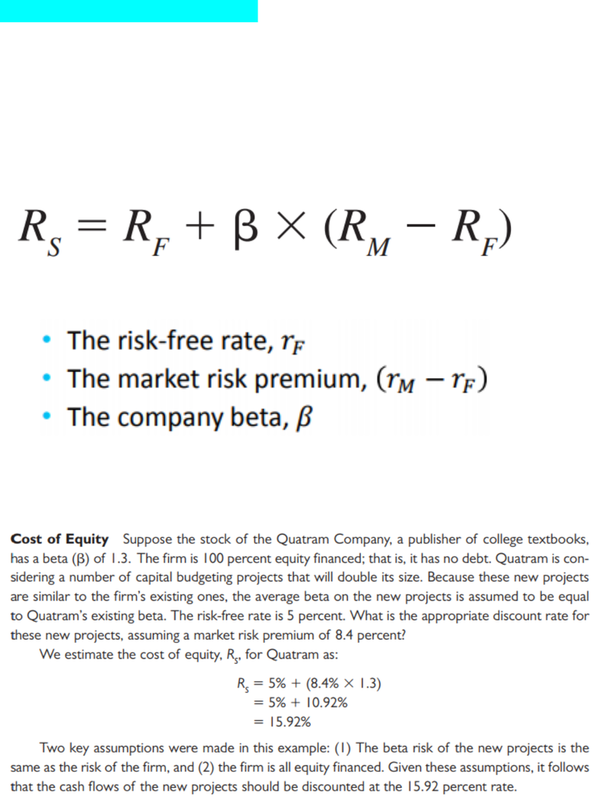 Week 4 lecture 4 chapter 13: risk, cost of capital and valuation. Whenever a firm has extra cash, it can take one of two actions. Alternatively, the firm can invest the extra cash in a project, paying. Out the future cash flows of the project. Because stockholders can reinvest the dividend in risky financial assets, the expected return on a capital-budgeting project should be at least as great as the expected return on a financial asset of comparable risk. If investors can re-invest the cash in a financial asset (stock or bond) with the same risk as that of the project, the investors would desire the alternative with the higher expected return. 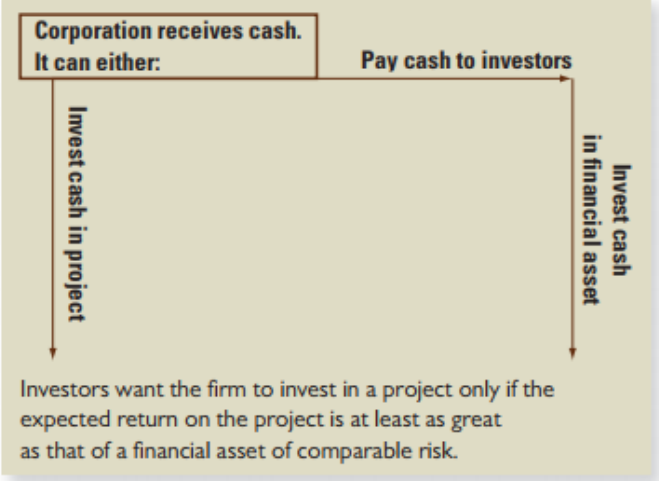 In other words, the project should be undertaken only if its expected return is greater than that of a financial asset of comparable risk. 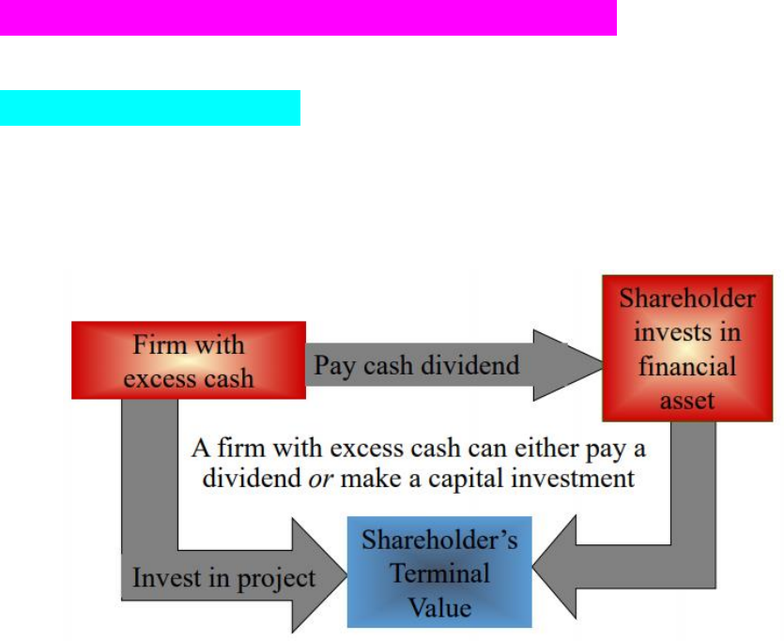 We start with the cost of equity capital, which is the required return on a stockholders" investment in the firm.